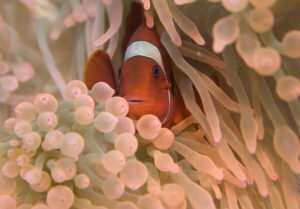 The PADI Enriched Air Diver (nitrox) course is PADI’s most popular specialty scuba diving course, and it’s easy to see why. 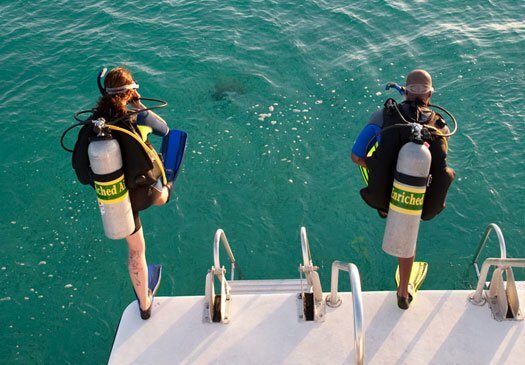 Scuba diving with enriched air gives you more no decompression dive time. This means more time under water, especially on repetitive scuba dives. 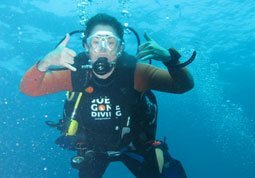 The PADI nitrox course on Bali takes only 1/2 day and doesn’t require any dives. 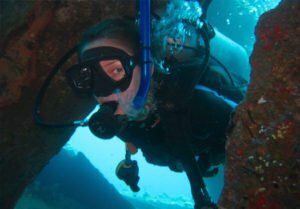 This non-diving course only takes half a day and can be easily combined with a regular dive trip. Prepare in your hotel or on the beach by studying the enriched air dive manual and doing the knowledge reviews. At Joe’s you will then go over the knowledge reviews, watch a DVD and write an exam. 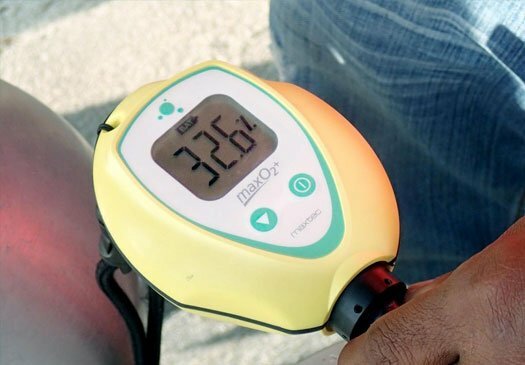 You will learn how to measure the enriched air percentage in a tank, how to set your dive computer, how to manage your oxygen exposure and enriched air scuba diving equipment considerations. You will measure at least two tanks. The course itself does not include any dives, however if you combine it with a day trip you will get your nitrox for free. After successfully finishing the PADI nitrox course on Bali, you will receive the internationally recognized PADI Enriched Air Diver certificate. The PADI Enriched Air Diver Specialty will count towards your Master Scuba Diver Rating. The Nitrox Specialty can also be combined with your Advanced Open Water Course.